Dr. Daniel Cobb Harvey was born to John and Margaret (Cobb) Harvey in Cape Traverse, Prince Edward Island. 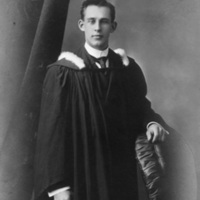 He studied at Prince of Wales College and Dalhousie University, graduating in 1910. 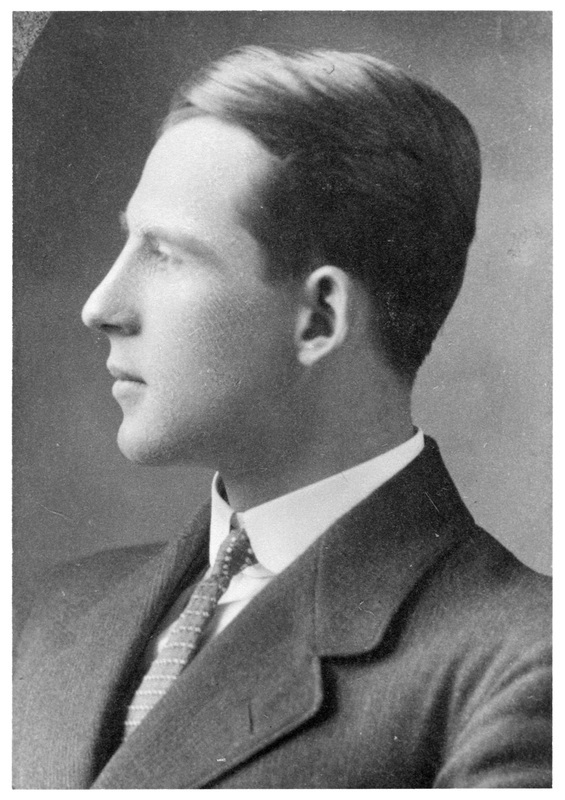 He won the Rhodes Scholarship for PEI, graduating from Oxford University with a BA in 1913. He was married to Elizabeth Winifred Ross, with whom he had four children. 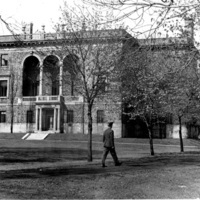 Harvey taught history at McGill University, Wesley College, and the University of Manitoba before being appointed head of the History Department at the University of British Columbia in 1928. In 1931, he became archivist at the newly built Public Archives of Nova Scotia and a special lecturer in Canadian History at Dalhousie. 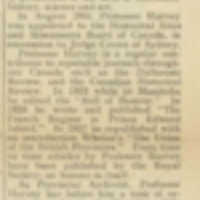 In 1956, he retired and became archivist emeritus of Nova Scotia. 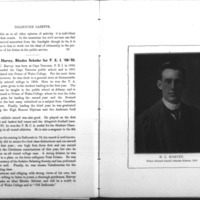 Harvey wrote and edited historical books and articles related to the history of Canada, the Maritimes, and Dalhousie University, including 23 articles fro the Dalhousie Review. He was involved with several historical organizations, including the Canadian Historical Association, the Nova Scotia Historical Society, and the Historic Sites and Monuments Board of Canada. He was on the editorial boards of the Canadian Geographical Journal, the Canadian Historical Review, and the Dalhousie Review. He was elected fellow of the Royal Society of Canada in 1928 and awarded the Tyrrell Medal in 1942. Harvey passed away in Halifax at eighty years of age in 1966. 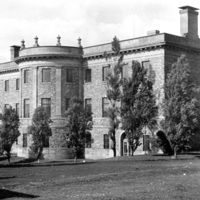 The first home of the Public Archives of Nova Scotia was built on Dalhousie's Studley campus in 1929-1930. It was designed by architect Andrew Cobb and funded by an anonymous donor, who turned out to be William Henry Chase. 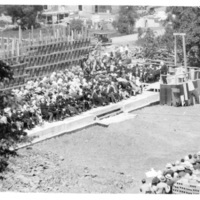 The cornerstone of the archives building was laid on August 29, 1929, by premier Edgar N. Rhodes. 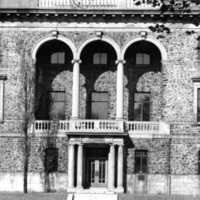 The building was home to the Public Archives until 1980, after which it housed the Information Office, the Ecology Action Centre, a dance school, the Nova Scotia Tattoo, and other organizations. 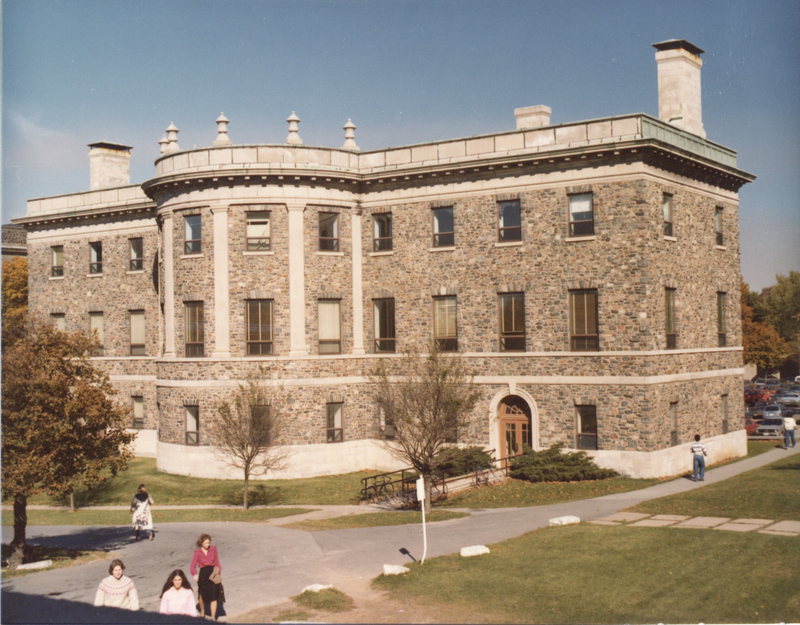 The building was extensively renovated in 1985 for the Dalhousie Mathematics, Statistics, and Computing Science department. Renovations included an underground tunnel connecting the building to the Life Science Centre. 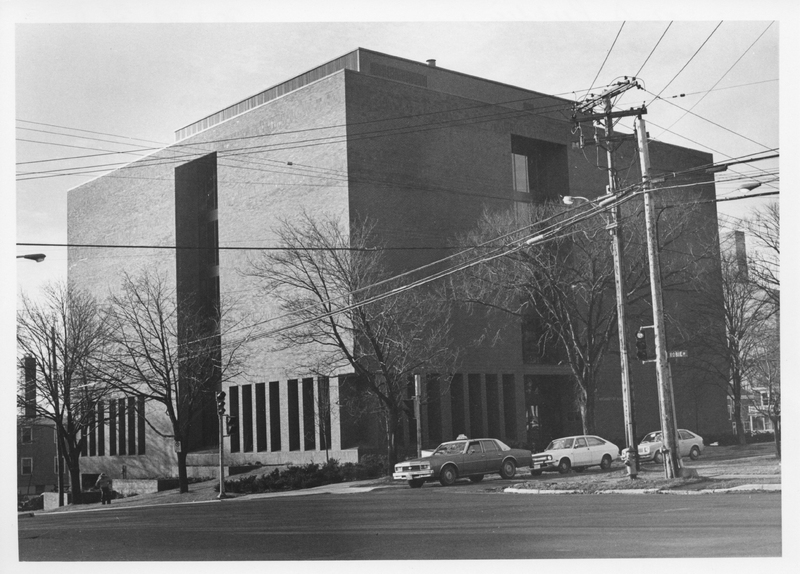 In 1986, the building was renamed the Chase Building after its formerly anonymous donor. The building is still home to the department of Mathematics and Statistics. 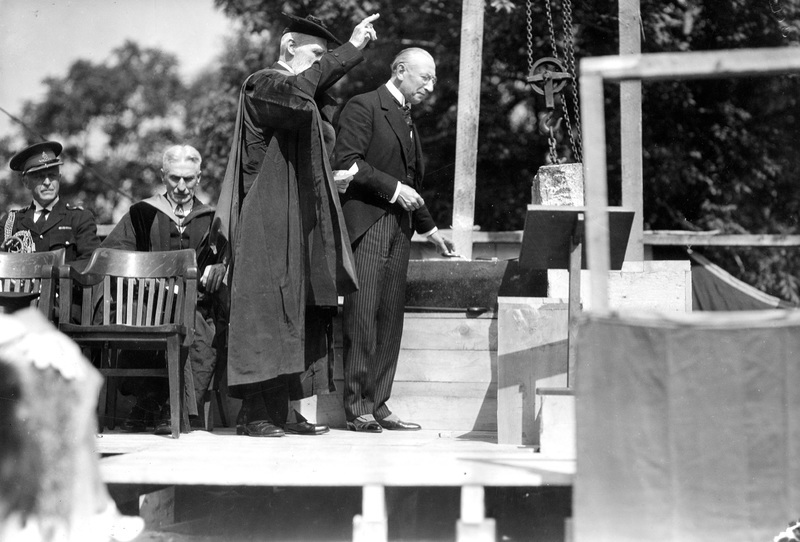 The cornerstone was laid on August 29, 1929, by Nova Scotia premier Edgar N. Rhodes, shown here with Archbishop Worrell. Today, the Nova Scotia Archives are located in this building on the corner of Robie Street and University Avenue. The archives moved into this building in 1980. "Chase Building," Buildings of Dalhousie: An Illustrated History, Dalspace.